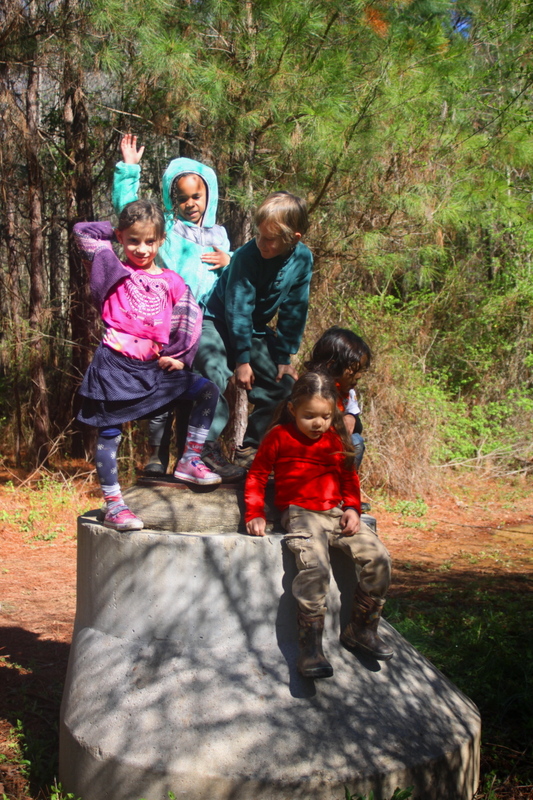 This week the kindergarten students played in and on and around a tire, floated sticks and logs on the creek, slid down the banana slide, and picked up trash from the woods. We searched for hidden birds in the pine forest. We learned about birds with a visit from Perdido, the Great Blue Heron puppet. 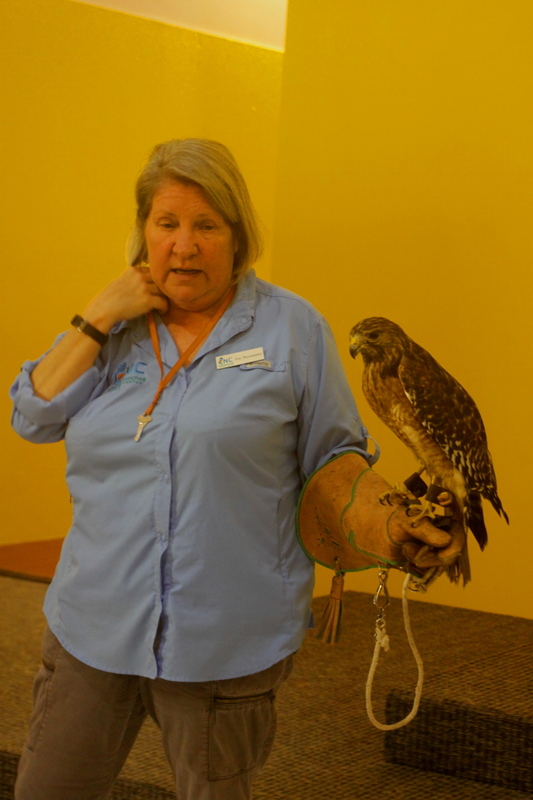 For our weekly Creature Feature, Ki Eve from the Chattahoochee Nature Center shared two beautiful birds of prey with us: a red-shouldered hawk and a barred owl. 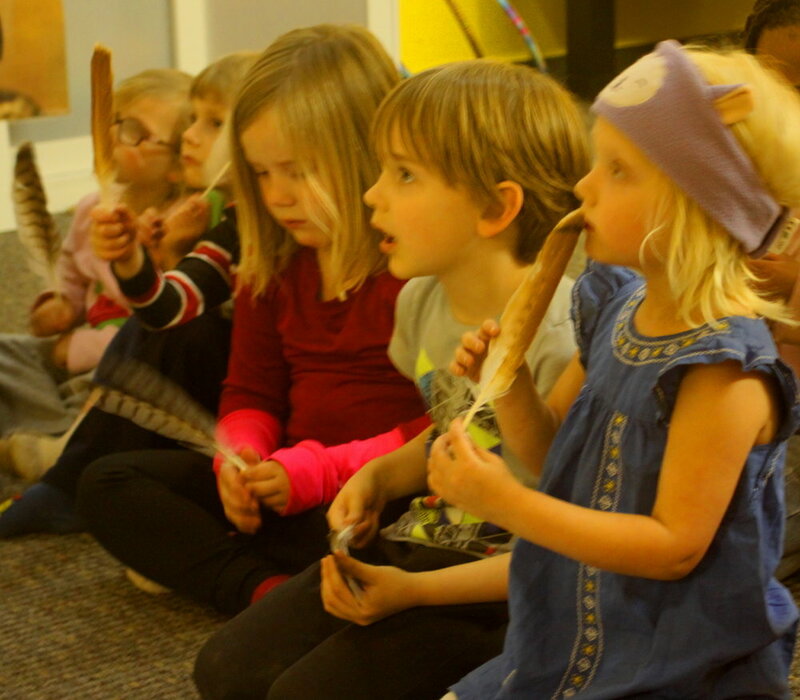 Students got to hold hawk and owl feathers during the presentation.